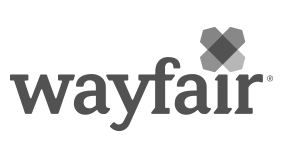 In this role, you will partner directly with our TV and digital partners along with Wayfair’s cross-functional teams to seamlessly integrate the Wayfair brand into content that enhances our customers’ understanding of Wayfair, drives sales, and improves long-term loyalty. If you're driven, analytical, and interested in developing best-in-class integrated marketing programs to drive affinity, we'd love to connect! Drive long-term channel growth through ongoing process improvement and innovation.